A detailed review on why the FlipBelt is a must-have items for any run. This is the running belt I use to carry anything with me on my run. It is by no means the first belt I tried. Although I had one or two running belts that worked, for one purpose or another, my FlipBelt is the only one I found that does just about everything I need from it. I’m not trying to hold you in suspense. I love this running belt and it works for me. This is a positive review. It has to be. I have three of them! My FlipBelt has been with me on every run since I purchased it last year. I use it to carry my iPhone 7 Plus, so yes, it holds the larger phones as well as my keys. I always have those on me. Anything else that goes into the running belt depends on the type of run I’m doing. For longer runs or in very hot weather I put some electrolyte beverage into a water bottle and may have a couple of energy gels stashed in there too. And there is still room for keys and some chews as well. Is The FlipBelt Right For You? Now that I’ve been pretty direct about saying how much I love my FlipBelt, I’ll get right to it and tell you why. I'll tell you what what I want from a running belt. Often through finding what you don’t like about products you try, you figure out what you do want. If your needs are different, my list of criteria may save you some reading for a product that might not be the right fit for you. If you can relate, read on. This might just be what you’re looking for. It must be adjustable. I wear mine on my hips and need to be able to resize it to make it fit me just perfectly. A choice of colors would be nice. I want a lightweight belt. It has to be secure. Losing a set of keys (yes, that happened with another belt) is no fun when you come back to a locked house after a 12 mile run in the middle of summer! My belt must be soft. No chafing if my shorts or shirt slide and it rests against my skin. It must sit securely without bouncing, riding, slipping or twisting around sideways. 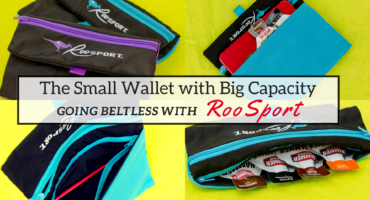 I don’t want zippers and clasps that rattle when I run. I prefer a waterproof option to protect my phone. It looks like I’m pretty demanding with what I expect from a belt. FlipBelt doesn’t check every point listed, but the features most important to me are covered and the trade-offs are few and negligible to me. This is why FlipBelt is my perfect choice. I’m one of those customers who can be lost before the checkout if I can’t navigate to the page or product I want with ease. No such issues here I selected my belt from the choices available, picked a color, clicked on the size I wanted and sailed through the process quickly. A confirmation email with details of my purchase landed in my inbox within seconds of the order going through. FlipBelt sent me a USPS tracking number once the shipping label was created so I could track my item. I like the ability to track something I’ve ordered. All that was left to do was to wait for it to arrive. It is also available on amazon.com and if you have Prime, delivery is quicker if you have a two day Prime shipping option. This belt doesn't check every item on my must-have list, but it covers more than any other belt I've found. While it does not have the pull tabs or a way to change the size, this cleverly designed belt is super stretchy and retains its size and shape. Even after a spin in the washing machine or a good scrub after every run, it's as good as new.The advantage of this is eliminating unnecessary bulk and pieces of plastic that can cause discomfort from friction. There is a size chart for ordering. Make sure you measure yourself where you want to wear it. For example, if you prefer your belt on your hips, measure your hips. If you like it around the waist, those are the measurements you'll use. I found the size guide perfectly accurate for me. This belt is a solid piece and does not come apart. You simply step into it, put it in place and step out of it when you're done. It's that easy. You are spoiled for choice with a range of colors. Some styles have fewer options, but if you are after the classic belt like this one, there are plenty of options.I chose a color the first time and then went for neutrals for the other two. The FlipBelt is soft, extremely comfortable and super lightweight. 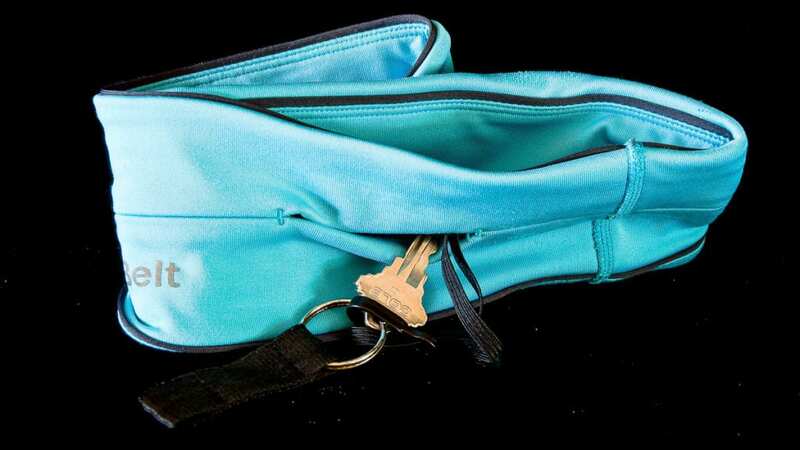 There is also an elasticated strap with a plastic clip hook so you can attach your keys to it before tucking them into the belt, so even if they did squeeze out of the opening, the strap is secured to the inside of the inner tube. Nothing scratchy about this belt. Even if your shirt rides up leaving it resting against bare skin, you don't have to worry about irritation. The FlipBelt sits securely, without hiking up as you move. There is one instance where this is not true. I found certain types of very slick material reduce the traction it has against your clothing. I have one pair of shorts where it slips after half an hour or so and have to pull it back down, but it's definitely the shorts, not the belt. There are no issues wearing it with any other clothing. If you wear yours around your waist, under your shirt, and don't mind it against your skin, this won't be a factor at all. Even loaded with a water bottle, gels and a phone, you don't have the bouncing and twisting that is common with so many running belts. Trying to run with constant clicking and rattling from zippers and buckles is a slow road to insanity. While there is a model of the FlipBelt with a zipper, it rests against the soft material of the belt without a sound. You won't find buckles and clasps here. The belt stretches easily to fit comfortably and returns to its original size and shape when you aren't wearing it. 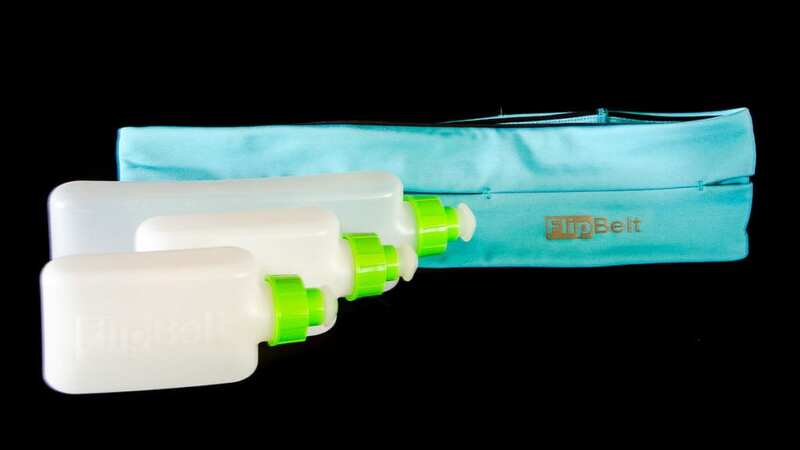 The FlipBelt is machine washable on a regular warm wash cycle and should air dry. I've thrown mine into the drier on medium heat and it's retained its elasticity, remained true to size and kept its shape through a couple of hundred washes. If you do prefer to air dry it as per the manufacturer's instructions, the lightweight material dries quickly. It's one thing to have everything safely secured, but what happens when you need it? I don't want to stop to get a gel or water bottle out. This belt allows you to retrieve and return items with one hand. It takes a bit of practice if you are used to a different style of running belt, but the key is to position the openings in the same place every time you put it on. There are four slits in the belt so lining them up to have one on the left and the other on the right, for both front and back, works well for me. My hand knows exactly where to reach to grab a gel or some water. 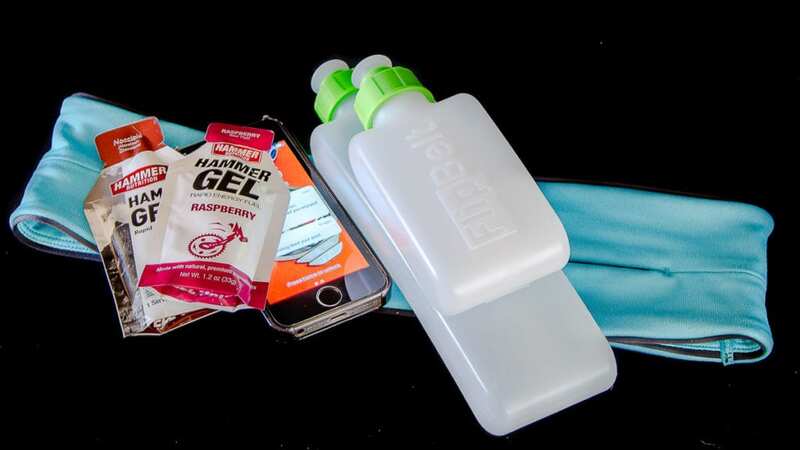 One of the main reasons I first looked at the FlipBelt was the need for a water bottle. Every other belt I tried before had an issue with either bouncing, discomfort from the bottle knocking against my hip or just the annoying compartment for the bottle that got in the way when I didn't need it. 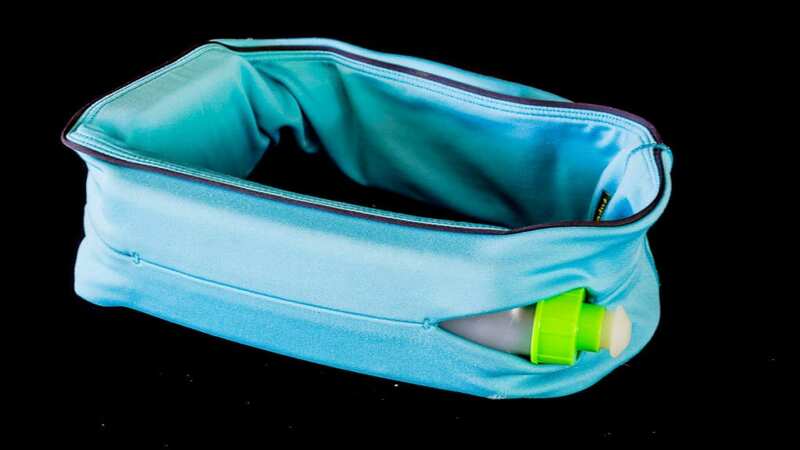 If you want to carry a water bottle in your FlipBelt, get the bottles that go with the belt. They are designed to work with it and are flat and curved to rrest comfortably against your body. If you think you want more than one bottle, get the hydration option, which is the classic style FlipBelt with the water bottles included. It's a better deal and you have the option to mix and match according to your needs. The large bottle holds 12 ounces of fluid, while the two smaller ones in the hydration set can be filled to six ounce capacity. 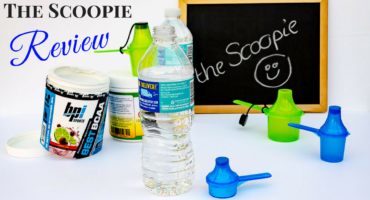 The bottles are dishwasher safe and BPA free. This is the one criteria the FlipBelt does not meet for me, but it checks so many boxes that I'm happy to grab a ziploc bag for my phone if it's raining. Besides, waterproof material against skin just makes you feel hot. I thought this might be enough of a drawback to make it worth having a different belt for backup in wet weather, but it's never been an issue. 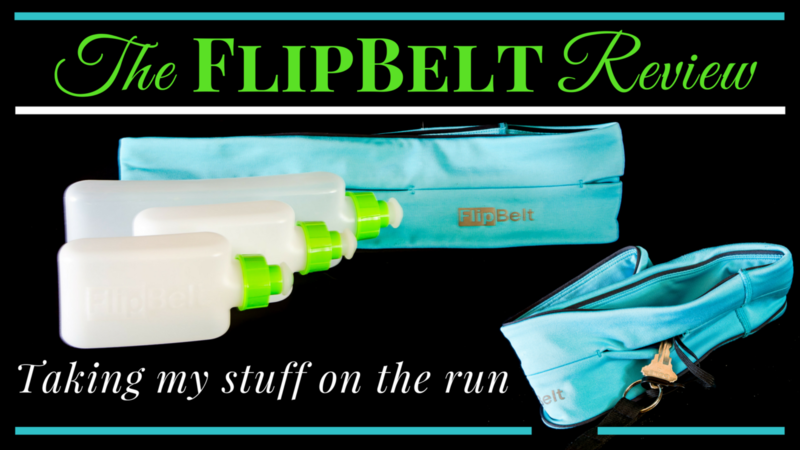 The FlipBelt is a well constructed, practical and functional accessory that is part of my daily running routine. The quality is superb and it does everything I need it to do an more. Even without the waterproof feature I originally wanted, there are easy solutions to overcome this and it's a small sacrifice for all the benefits. The only suggestion I would make to the FlipBelt folks is that a thin non-slip band that could be placed underneath the belt to prevent sliding on workout clothing with a slick surface would be great. I give this belt a near perfect score and wouldn't hesitate to recommend it. If you want a convenient way to carry personal items during runs, walks or any kind of workout, the FlipBelt is a great choice. It’s who I am. It’s how I run. Run for the Love of It. 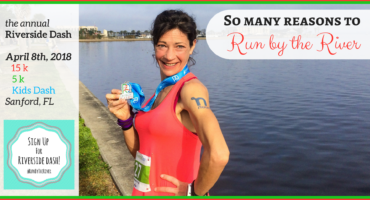 It's possible to train hard, be goal focused and still run carefree. It's not the complicated. Really! Performance can become a bit of a science, but the joy of running is something you already have. Lace up your sneakers and go find it. You have what it takes to reach your goal. There's no minimum requirement. You just need to be willing to try and determined to have fun. Let's go running.